If You’re Looking For A Place To Get Away From It All, then Look No Further! Everybody deserves a much-needed break from the noise of the busy world. So, why not look for a home where you can experience that kind of break whenever you want? 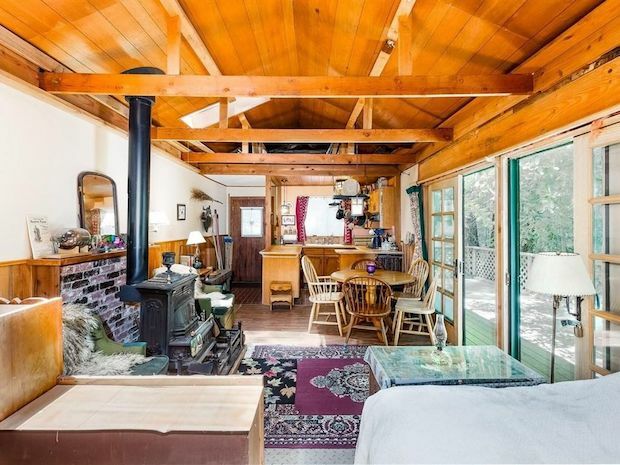 Well, there’s a lovely cabin home for sale in Davenport, California that’s ready for new owners. 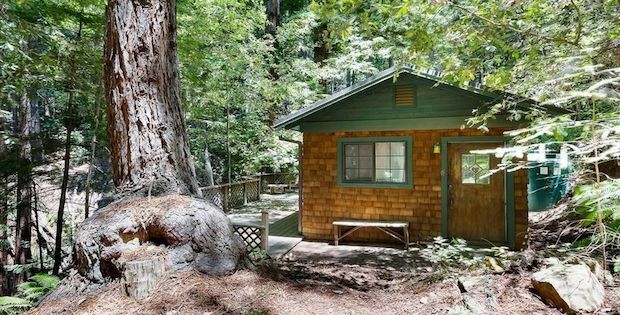 Now, this home will help you disconnect from the world; being off-the-grid, this cabin will help you reconnect with nature and rejuvenate your soul with a simpler and humbler lifestyle. 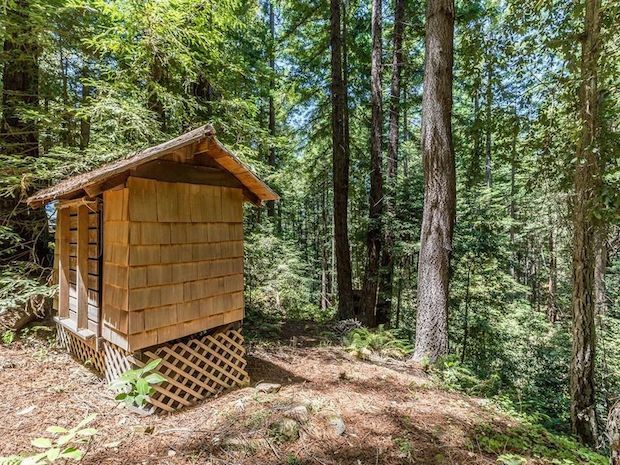 The home sits on 6 acres of private land, that’s a lot for you to cover on your walks or hikes around the mountain when you need a breath of fresh air. The cabin has a spacious viewing deck where you can sit back and take in the beauties of nature. The interior is rather small, but rest assured every inch of living space has been put to good use; so you can be sure that whatever you need might just be within arms-reach. The home is sized at square feet and is for sale at $499,000. 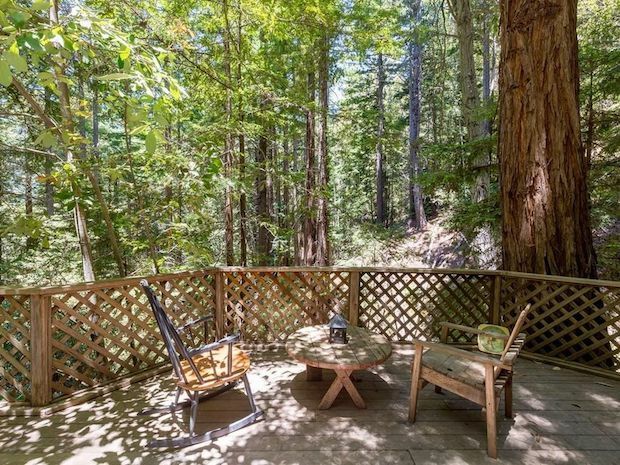 This is a great getaway close to anywhere in the Bay Area. 20 Minutes to the beach at Greyhound Rock or Waddell Creek, 1/2 hour trip from Cabin to Bakeries and restaurants in Davenport. 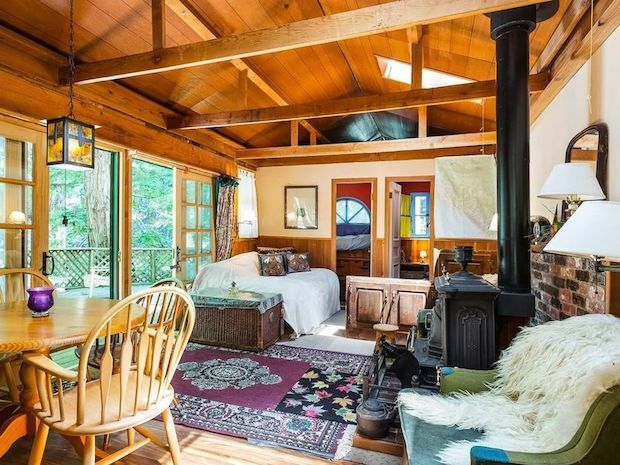 This cabin is a great second home location.